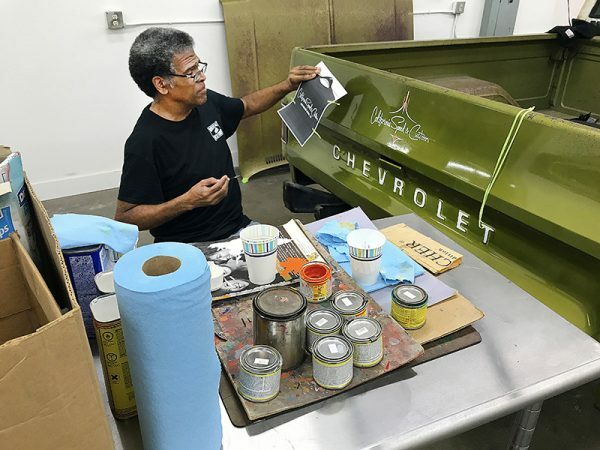 That last adage is a mindset car and truck restorers live by, the act of retaining original paint as critical to the value of a vehicle as number matching engine, transmission and chassis serial numbers. But Patina, that aged appearance of a painted or metal surface, has also garnered more than its share of fans. 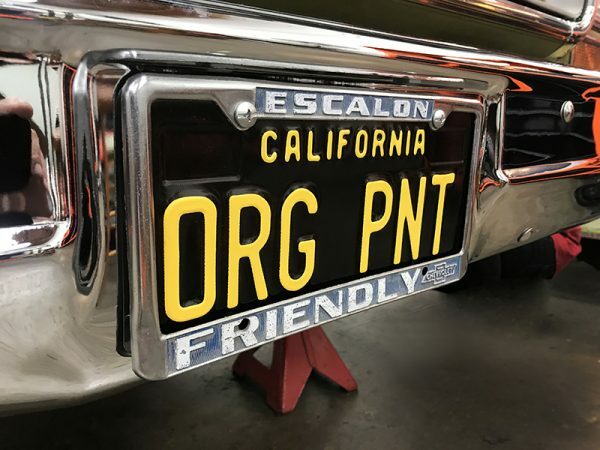 Perfect paint will never go out of style, but all the same, anyone can paint it perfect, creating a combination of classic original paint along with modern upgrades is a balance not everyone can achieve. Clearly the classic green paint was better than most for 40+-year-old vehicles. 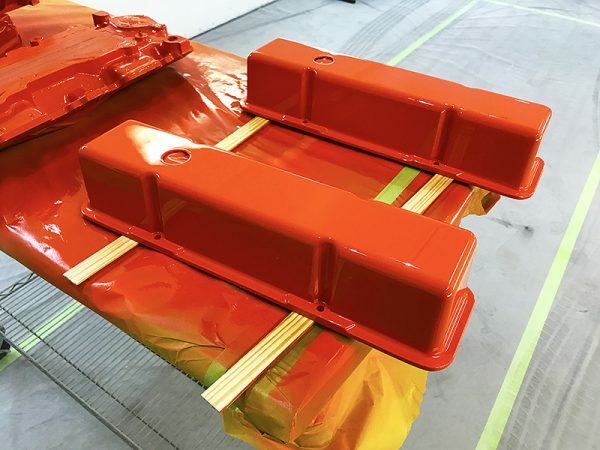 To get the most from the original paint, the surface color was sanded and polished by Carlos Nieto, to a high luster. 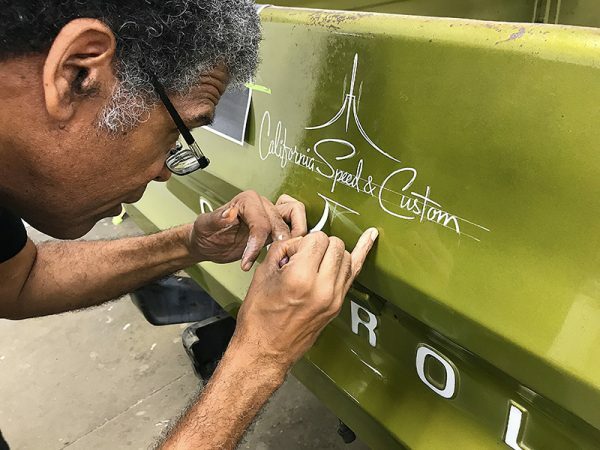 Then master designer and pinstriper Steve Stanford came in to add all of the custom lettering on the truck as well as a few of his own special design touches. 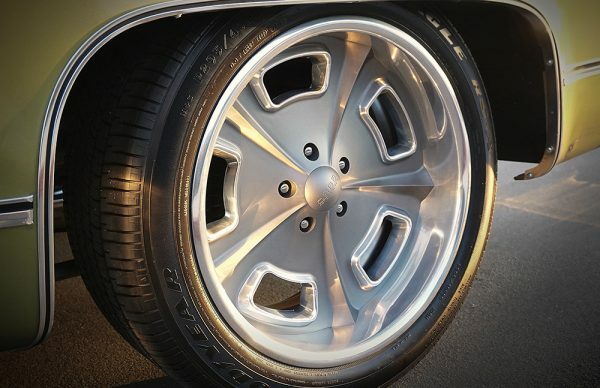 All of the original trim was polished to perfection and the bumpers, front and rear, were re-chromed. All of the original sheet metal is in intact right down to the original body-bolts. CSC restored the grille, marker lights and tail lamps. 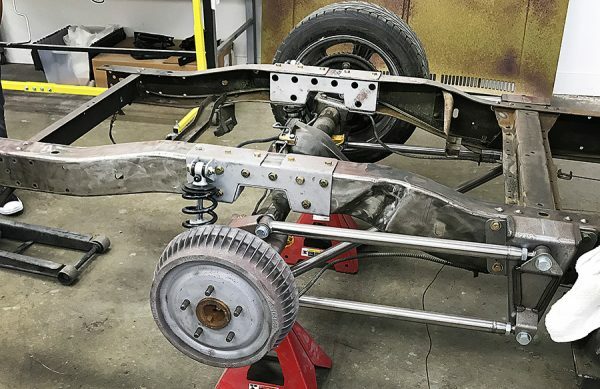 With the body right where he wanted it, Oja turned to TCI for one of their first ever prototype suspension systems that included the usual suspects including custom A-arms top and bottom. 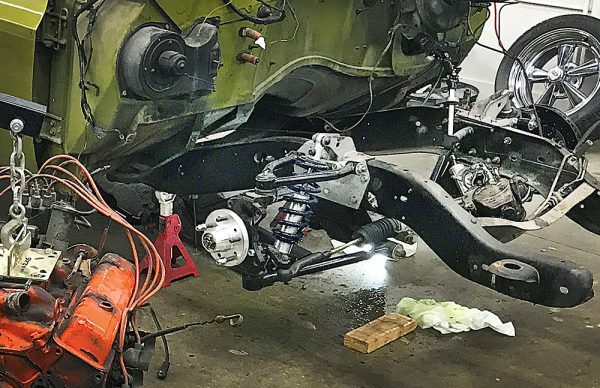 RideTech coil over shocks were used along with a redesigned rack & Pinion steering box and sway bar. In the rear TCI fabricated a 4-bar system bolstered with Ride Tech Coil overs and a C-Notch. 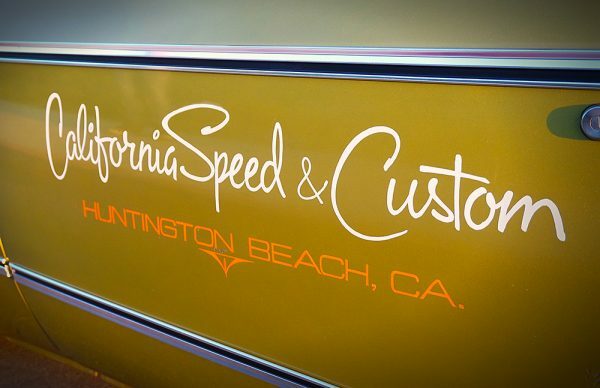 California Speed & Custom 6-piston calipers work with four wheel disc brakes. HRBB Columbus Wheels are used all around with Goodyear 245/45-18 Goodyear tires in the front and 295/40-20 tires out back. 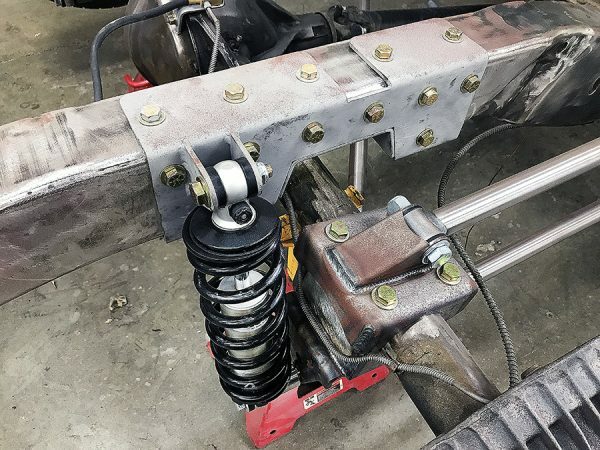 The original chassis was removed from the truck, cleaned, painted and reinstalled. 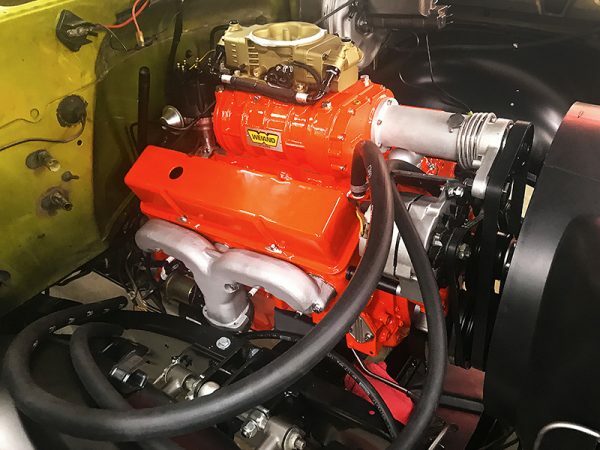 Powering the classic truck is the original Chevy 350-cid engine, which features all new internals including pistons, camshaft and rings. But that’s where the original features stop. 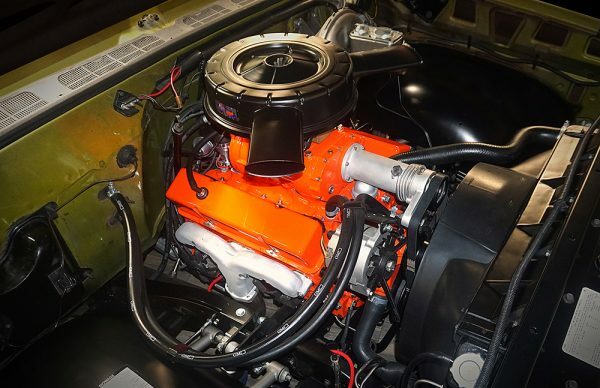 Bolted to the top of the Chevy Orange engine is a Weiand 142 supercharger, MSD distributor and Holley Terminator Stealth Fuel Injection system. With a boost pressure of 6 psi the engine cranks out in the 550+ hp range and has the drivability that fuel injected engines deliver with regularity. 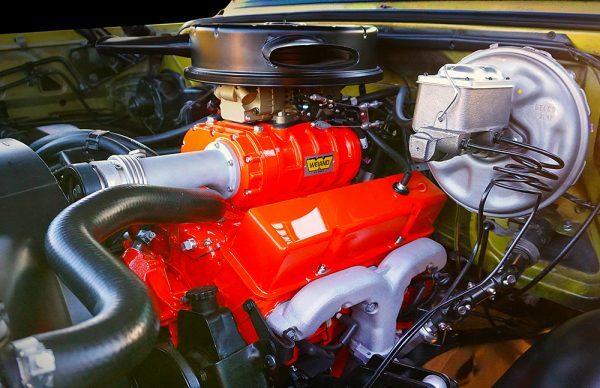 To add an air of original style, a modified ’65 Malibu air cleaner tops it all off. Corvette Rams Horn exhaust manifolds are used to clear the TCI suspension and exhaust flow gases through a custom Flowmaster stainless steel exhaust. 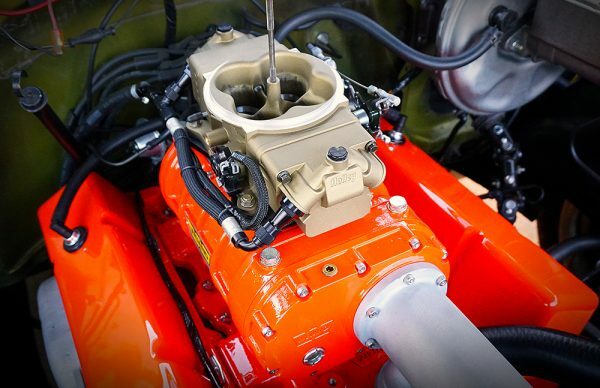 An Art Carr Turbo 350 TH automatic handled the power and send it back to the factory refreshed 12-bolt rear-end. 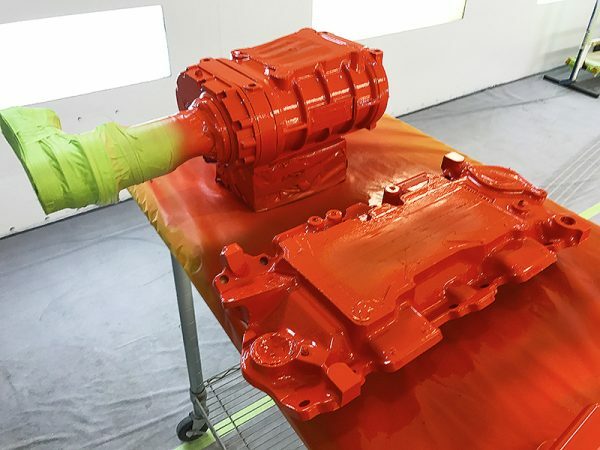 The original jack and handle were repainted and stand at the ready bolted under hood with the rest of the highly detailed engine compartment. For the novice truck enthusiast, a peek inside the cockpit will reveal little. The factory bench seat is still there along with the factory gauges. 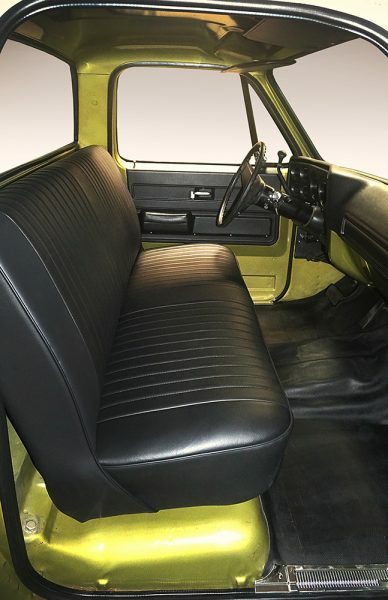 In reality, the bench seat has been neatly recovered in black leather and is a definite upgrade from stock. Credit that handiwork to 714 Motorsports who covered the seats and reinstalled the cleaned and reworked factory door panels. Rubber floor mats are used throughout and the radio delete block off plate is a factory original configuration. Listening to the sound of that throaty small block and Weiand supercharger is music enough. 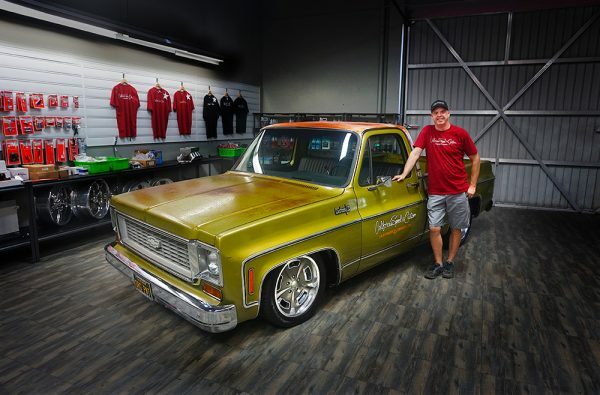 Driven often by Pattie Oja, the current owner of the vehicle, Mark continues to refine and show the classic truck at shows and cruise nights. 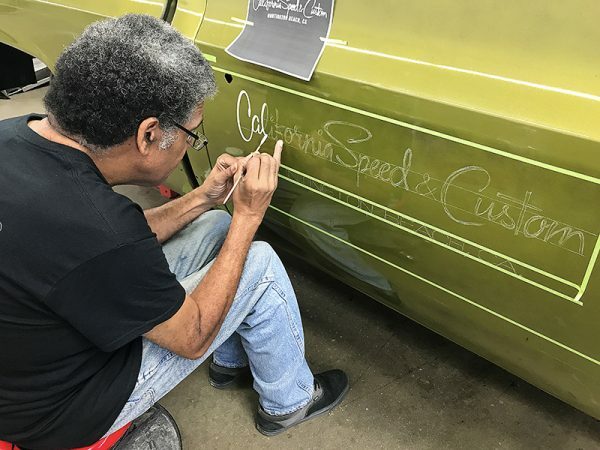 Just a typical example of the cars built by Oja, who is best known for his handiwork as the Project Manager for the shop used in the last five years of the Velocity Channel TV show, Overhaulin’. VANDALIZE! – LIVING IN VAN-LAND… Drag Out the 8 Tracks and Zig Zags…..